Heralded as the ?hottest artist on the classical music planet? by the New York Times, 28-year-old Lang Lang has played sold out recitals and concerts in every major city in the world and is the first Chinese pianist to be engaged by the Berlin Philharmonic, the Vienna Philharmonic and the top American orchestras. Testimony to his success, Lang Lang recently appeared in the 2009 Time 100 ? Time magazine's annual list of the 100 Most Influential People in the World. Testimony to his success, Lang Lang recently appeared in the 2009 Time 100 ? Time magazine's annual list of the 100 Most Influential People in the World. In 2008, over 5 billion people viewed Lang Lang's performance in Beijing's opening ceremony for the Games of the XXIX Olympiad where he was seen as a symbol of the youth and future of China. This status has inspired over 40 million Chinese children to learn to play classical piano ? a phenomenon coined by The Today Show as "the Lang Lang effect." Recognizing Lang Lang's powerful cultural influence, in 2008, the Recording Academy named him their Cultural Ambassador to China. Most recently, Lang Lang has been chosen as an official worldwide ambassador to the 2010 Shanghai Expo. Continuing his presence on the world stage, Lang Lang was featured at the 2008 Grammy's, pairing up with jazz great, Herbie Hancock, for an astounding performance that was broadcast live to 45 million viewers worldwide. The two pianists continued their collaboration with an inaugural world tour in summer 2009. Lang Lang has made it his mission to share classical music around the world, with an emphasis on training children and young musicians through education and outreach programs. To that effect, in October 2008 he launched the Lang Lang International Music Foundation in New York with the support of the Grammy's and UNICEF. The Lang Lang International Music Foundation was created to enrich the lives of children through a deeper understanding and enjoyment of classical music and to inspire and financially support the next generation of musicians. In May 2009, Lang Lang and his three chosen scholars from the foundation ? aged between 8 and 10 years old ? performed together on The Oprah Winfrey Show on "Oprah's Search for the World's Most Smartest and Most Talented Kids." Lang Lang also continues to give master classes regularly throughout the world at the invitation of the most prestigious music institutions, including the Juilliard School, the Curtis Institute of Music, Manhattan School of Music and Hanover Conservatory, as well as all the top conservatories of China where he holds honorary professorships. He has held music residencies in Chicago, Toronto, San Francisco, London, Rome and Stockholm, which include master classes for exceptional students. In addition to his numerous commitments, Lang Lang holds the title of the first Ambassador of the YouTube Symphony Orchestra. His role in this groundbreaking project created by YouTube and Google reflects his devotion to building new audiences and bringing classical music to young people worldwide. In 2009, Lang Lang continues his busy touring schedule around the world. Lang Lang will be a featured highlight of the Carnegie Hall festival "Ancient Paths, Modern Voices: Celebrating Chinese Culture" where he will premiere Chen Qigang's new piano concerto, "Er Huang," and close the festival with a performance of Rachmaninoff's second piano concerto with the Shanghai Symphony Orchestra. He will also present "Lang Lang and Friends," featuring rising talent from the United States and China performing works by Western and Chinese composers. In addition, the Vienna Musikverein will present the Lang Lang Fest, including a joint concert between Lang Lang and Cecilia Bartoli. As the youngest instrumentalist to ever receive an invitation, Lang Lang will also be in residence with the Berlin Philharmonic - where, among other shows, he will perform on the New Year's Eve concert with 100 school children from Berlin. Furthermore, Lang Lang will also be featured in a special tour of Japan with the Vienna Philharmonic. In 2008, his biography, Journey of a Thousand Miles, published by Random House in eight languages, was released to critical acclaim. As part of his commitment to the education of children, he released a version of his autobiography specifically for younger readers, entitled Playing with Flying Keys. Tens of thousands of people have enjoyed Lang Lang's performances in open-air concerts in parks and venues around the globe, including New York City's Central Park, Hollywood Bowl in Los Angeles, Chicago's Ravinia Festival, Theaterplatz in Dresden and Hamburg's Derby Park. In December 2007, Lang Lang was guest soloist at the Nobel Prize concert in Stockholm, an event attended by the Nobel Laureates and members of the Royal Family. Collaborating with Maestro Seiji Ozawa, he appeared at the New Year's Eve gala opening for the National Center for the Performing Arts in Beijing. He participated in the opening concert at Munich's Olympic Stadium with Mariss Janson, marking the commencement of the World Cup. In a celebratory concert for the closing of '08 Euro Cup finals Lang Lang played with the Vienna Philharmonic under the baton of Zubin Mehta in front of Sch?nbrunn Palace. Lang Lang has become the face of numerous global campaigns. Steinway has recognized Lang Lang's popularity with children by creating five versions of the ?Lang Lang? Steinway? designed for early music education. This is the first time in its 150-year history that Steinway has ever used an artist's name to produce pianos. He is a global brand ambassador for Sony Electronics, with whom he anticipates achieving innovative and creative possibilities for the future. Lang Lang recently signed on to represent Aegon's worldwide financial services and he is proud to continue his relationship with Audi Automobiles as their global brand ambassador. Lang Lang's performance clothes are provided by Versace. Lang Lang began playing piano at the age of 3 and by the age of 5 he had won the Shenyang competition and had given his first public recital. Entering Beijing's Central Music Conservatory at age 9, he won first prize at the Tchaikovsky International Young Musicians Competition and played the complete 24 Chopin ?tudes at the Beijing Concert Hall at age 13. Lang Lang's break into stardom came at age 17 when he was called upon for a dramatic last-minute substitution at the ?Gala of the Century,? playing the Tchaikovsky concerto with the Chicago Symphony. Following this gigantic debut, he performed successful concerts around the world ? The Times in London remarked: ?Lang Lang took a sold-out Albert Hall by storm? This could well be history in the making.? He has made numerous TV appearances, including The Today Show, the Tonight Show with Jay Leno, Good Morning America, CBS Early Show and 60 Minutes among many others. Lang Lang has been featured on every major TV network and in news and lifestyle magazines worldwide, including such diverse publications as The New Yorker, Esquire, Vogue (Germany), The Times (London), Financial Times, GQ, Die Welt, Reader's Digest and People. Hailed by the Chicago Tribune as the ?biggest, most exciting keyboard talent encountered in many years,? Lang Lang has progressed from one triumphant appearance to the next. Lang Lang has performed for numerous international dignitaries including the former Secretary-General of the United Nations Kofi Annan, President George H. W. Bush, Her Majesty Queen Elizabeth II, President Hu Jin-Tao of China, President Horst Koehler of Germany, H.R.H. Prince Charles, as well as Russian Prime Minister Vladimir Putin and French President Nicolas Sarkozy. In 2004, he was appointed International Goodwill Ambassador to the United Nations Children's Fund (UNICEF). 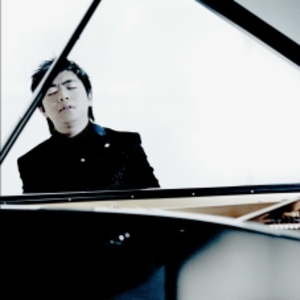 Lang Lang has contributed and worked to raise funds and awareness for earthquake relief efforts in China. This included auctioning the red Steinway piano played during his 2008 New York Central Park concert and donating the net proceeds to the American Red Cross China Earthquake fund. As Chairman of the Montblanc de la Culture Arts Patronage Award Project, Lang Lang celebrates another aspect of arts commitment. He also currently serves on the Weill Music Institute Advisory Committee as part of Carnegie Hall's educational program and is the youngest member of Carnegie Hall's Artistic Advisory Board. He has been added as one of the 250 Young Global Leaders picked by the World Economic Forum. Lang Lang is featured soloist on the Golden Globe winning score: ?The Painted Veil? composed by Alexandre Desplat and can be heard on the soundtrack of ?The Banquet? composed by Tan Dun. All of his albums have entered the top classical charts as well as many pop charts around the globe. His album of the First and Fourth Beethoven Piano concertos with L'Orchestre de Paris and Maestro Christoph Eschenbach debuted at #1 on the Classical Billboard Chart. Lang Lang also appeared on Billboard's New Artist chart at the highest position ever for a classical artist. In 2007, he was nominated for a Grammy, becoming the first Chinese artist to be nominated for Best Instrumental Soloist. He was honored by The Recording Academy with the 2007 Presidential Merit Award; past recipients include Zubin Mehta and Luciano Pavarotti. Lang's latest recording is of Rachmaninoff and Tchaikovsky piano trios with Vadim Repin and Misha Maisky. For further information visit www.langlang.com.